Larissa’s primary goal is to help people heal through multiple holistic modalities, incorporating the mind, body & spirit. After getting to the other side of her own personal challenges with health, weight, body image, confidence & personal relationships, Larissa has personally seen how small changes can make such a huge difference in one’s life. As a firm believer in the “Continual Path of Self-Improvement”, her journey began in childhood & continues to this day. As a Certified Health Coach & Consulting Hypnotist, Larissa’s primary goal is to help others striving to live healthier & happier lives. Creating positive, lasting changes in others’ lives, though the utilization of multiple methods that facilitate & assist with the healing process by strengthening the mind body connection. Applying lots of tried & true, insider tools that will allow you to transform your mind, body, spirit & life in every way. 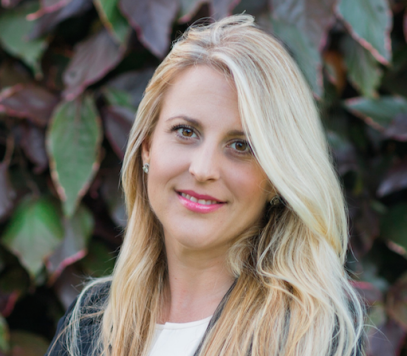 With a vast knowledge of over 200 dietary theories, Larissa can help you discover an approach that works best for you, wherever you are in life, and assist you in creating a healthy body, a clear mind & a happy heart. I grew up eating the standard American diet (full of processed snacks, fast food and Southern indulgences) and because of this I struggled with my weight. The typical yo-yo story, where my weight constantly fluctuated. It was frustrating to say the least, especially because I was very active. I would find everything low-fat, no-fat, low calorie and yet my weight, or my health, was not changing…at least in the way I wanted it to. After graduating from college, I headed off on the path of what I though I was “supposed to do”. At this point in my life, I had lost some weight, but did not really change much in terms of the way I viewed nourishment. I was engaged, moving to Miami to begin my career, and in all honesty putting a facade of happiness. Unsure of the direction I was heading, like any “good southern girl” I did what I was supposed to do, without realizing that it was in no way what I wanted to do. Flash forward to just a few days before the wedding, when I received a very frightening call from my doctor’s office telling me I needed to return to the office immediately. I explained that I was getting married that week and was already over an hour away, but they did not care. I can still remember that moment vividly! I turned around and stormed back in their office, upset and angry, because what could be more important than my wedding day (hindsight is really something, I tell you…if only I could’ve read the signs The Universe was sending me in that very moment)?! As it turned out, I had EXTREMELY elevated liver enzymes with basically no explanation behind it. They dew blood again and sent it off for testing, just to be sure it was not a fluke or something. The Monday following the wedding, as I was packing and getting ready to the airport for the honeymoon, they called again. Stubbornly, I said it has to wait (Hawaii was worth it, honeymoon no so much). I asked them if I was going to die in the next two weeks, and although they could neither confirm nor deny this question of mine I boarded that plane anyways. Upon my return, I spent the next 6-8 months going through more tests than I knew existed. Still with no answers and every single test coming back as negative, I had to get a liver biopsy (OUCH!). Even after that, I still had absolutely no clue what was going on in my body. There was a lot going on in my life at this time, so subconsciously I blocked it out. After finally starting to settle in Miami, I found out that I had to move to Jacksonville with very short notice, as this was the only law school my (ex)husband was accepted to. One thing I have always been able to do is just figure it out, and make it work. So off we went. Serendipitously, the new house I moved into was directly behind The Mayo Clinic. Immediately I thought they will have an answer, so I gathered all the information (which could’ve filled a large cabinet) and called them to see if/when I could get in. I remember being given a number as my patient ID, and in hindsight (again) I realize that in this massive place I became a number, not a person. The liver specialist looked though everything for roughly 5-10 minutes (I am being generous), and said you have “Fatty Liver” (clinical diagnosis Non-Alcoholic Steatohepatitis). There is no cure, no medication…just lose weight and hopefully it will go away. I see now that this was the very best thing that happened through that entire experience, but I was not pleased with the “just lose weight” instructions and therefore ignored them. I did not know how to love myself and take care of myself, consequently every attempt I made to lose weight failed. Fast forward through (too many) years of an unhappy marriage, where I was told I was not attractive, and just overall good enough, I finally found a way out. I will spare you the juicy details, because it is neither productive, nor positive. However, there I was…SINGLE and about to turn 30 and my life started to change. I started living my life for myself, and following my dreams. At this point in my life, things did not align with the vision I had for my life; unhealthy, overweight & just overall disappointed with my life professionally, personally & spiritually. The tipping point where I finally made up her mind to change.I continued to change, lost a little bit of weight, but really began to focus on what made ME happy. A little while longer, I was introduced to a man that would change my life forever, and eventually become my husband. At this time, I began to take it upon myself to learn as much as I could about eating healthfully. I changed my eating habits, increased my physical exercise and immediately started to feel better. Not only were my clothes fitting better, but my self-image improved immensely. It was a slow and healthy loss, but after losing about 80 pounds I felt much more confident, happier with myself and most of all healthier. 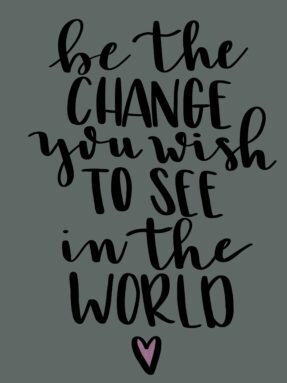 I was amazed to see that small changes can make such a big difference and instantly decided that I wanted to help others live healthier and happier lives. Although I have been very successful establishing myself as a Consulting Hypnotist & Life Coach, I wanted to do more, to learn more, to help more. After seeing how small changes can make such a big difference in myself, I wanted to help others striving to live healthier and happier lives, so I became a Holistic Health Coach. Through the curriculum at the Institute for Integrative Nutrition, I have studied over 200 dietary theories, including all the major ones, and am able to help you discover what approach works best for you, wherever you are in life. Rather than dwelling on calories, carbs, fats, proteins, restrictions and lists of good and bad foods, I work with you to create a personalized plan that is flexible and fun. We’ll find the foods and lifestyle choices that best support you to make gradual, lifelong changes to reach your current and future health goals. 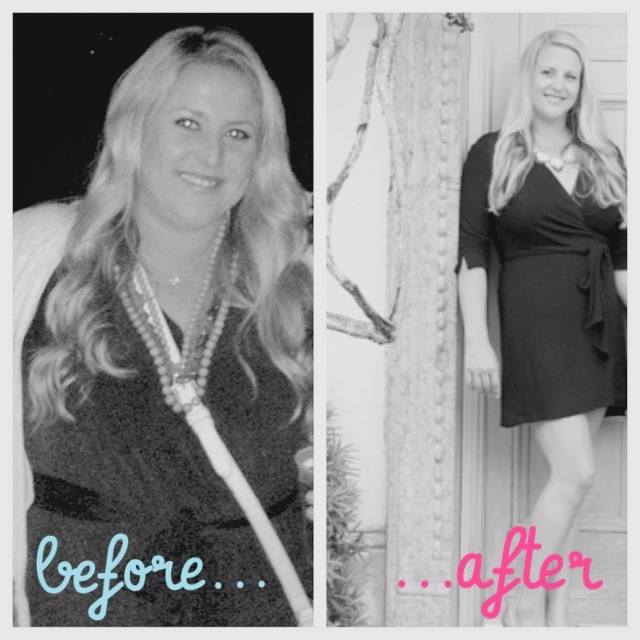 I have tons of tried and true, insider tools that’ll transform your body and life in every way. But first, I want you to know this: I am not the guru – you’re your own guru. I’m your guide, your (slightly talkative & bossy) coach, and your supportive, loving friend.